Two young men, aged 19 & 21 failed to return from a day on Scafell Pike, and were reported overdue by the family. 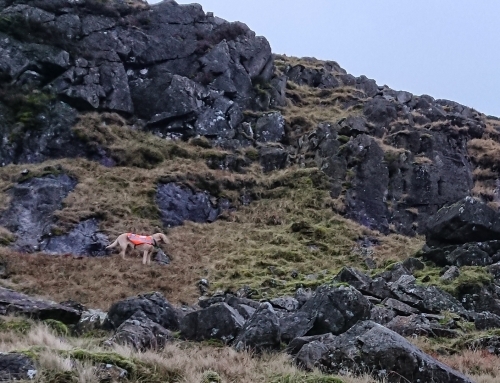 Enquiries were undertaken by the Police, and Wasdale MRT as it was unclear as to their likely route. They were inexperienced, and the family were not sure what they had in the way of equipment. As winter conditions were very much present on the high fells, with deep snow in patches, the an early find was beginning to take on a high priority. 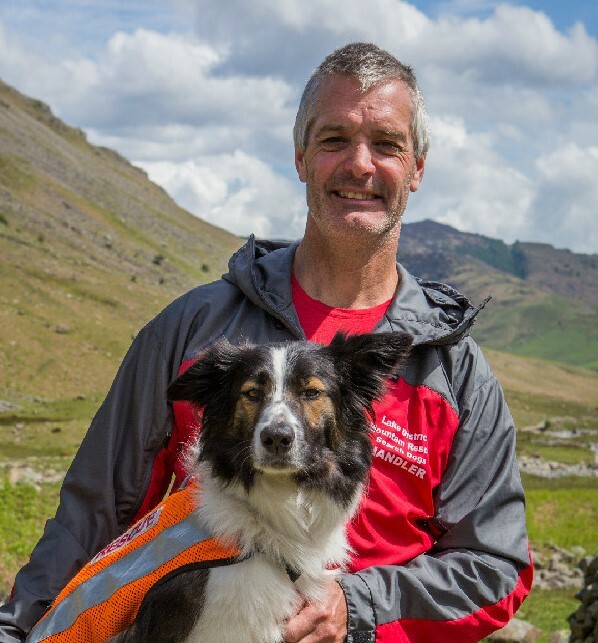 After a lengthy search, their car was eventually located at Seathwaite Farm, Borrowdale. Information seemed to suggest that they might be on the western side of the Pike. 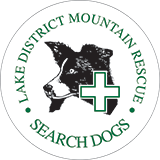 Wasdale Team then mobilised, and Keswick team were requested to search their side of the hill; the assistance of Lake District Search Dogs was requested. 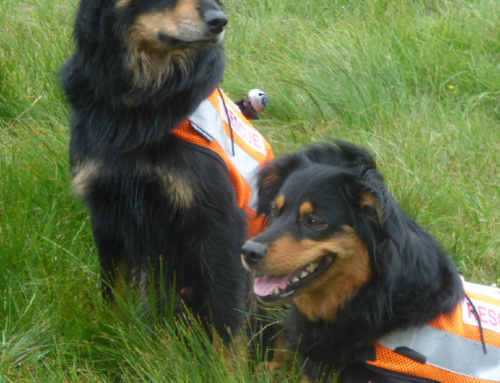 Unfortunately this job came in when many dogs had already set off to Scotland for a winter training event, but Search Dogs Rona and Isla were available and went out ahead of the Team. A Coastguard helicopter from Prestwick was also tasked to the search. 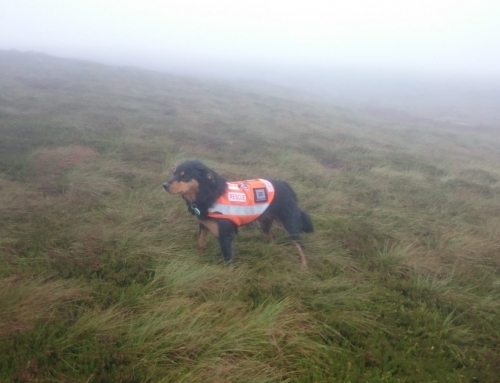 Search Dog Ted became available later, but given the search area initially targeted, was held back for the morning should the need arise. 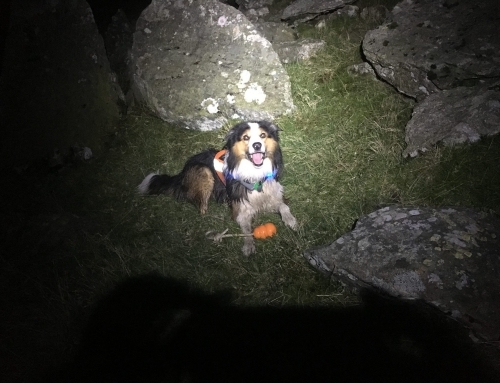 The two mispers were found in the early hours of Sunday by Search Dog Isla, with her handler Martin Bell, between Skew Gill and Sty Head. They were cold and benighted, but uninjured. They were airlifted by Rescue 199 down to Seathwaite so they could pick up their vehicle. All rescue personnel then stood down.